It seems like every year there is a new fad to have at an event...ie, a candy bar, a cupcake display, photo-booth, etc. 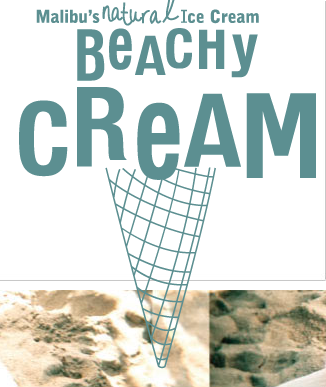 In addition to these great ideas, we would like to contribute one of our own... We were just introduced to this amazing organic ice-cream sandwich company called Beachy Cream. The company made it's name in Malibu, and now they are making their way over to the west side. 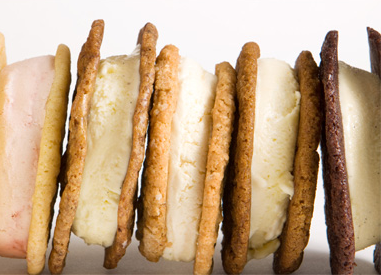 One of the unique features of this company is that the yummy ice-cream sandwiches come to you and your guests. The sandwiches can be set-up on a fun ice cream cart or even served to guests by the Beachy Cream "ice-cream girls"...We just love this sweet new concept! Go on their Website to see the array of flavors & locations you can visit.